- Hey guys, how's it going? So today I have a new DIY for you guys. I can't believe how fast Easter and Mothers' Day's coming up soon. So, a couple of years ago, I went into Lush, and I saw these cute little carrot bath bombs, they were so adorable, and I knew I wanted to recreate them, but I just kind of never had the chance to. 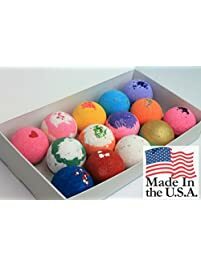 Finally I did, I tried out different recipes, and I tried all these sorts of different ways, variations on how to make bath bombs. 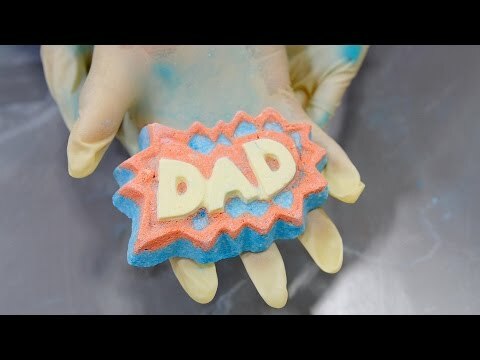 For today's video I'm going to show you how to make the most effective and simplest recipe for these bath bombs. So I hope you guys will like this, you can totally personalize this, make this however way you like, for your mother, this Mothers' Day, or for your friends and family for Easter. So let's go ahead and get started. You will need: backing soda, citric acid, craft paper and tape, some green hay, and I found this from my craft store, witch hazel, you can find this at the pharmacy store or Target in the pharmacy section, some food coloring, cosmetic glitter, which is optional, essential oil for scent, and coconut oil. I will also leave some links on the bottom of this video to where you can purchase these items online. Before doing this, preheat your oven at 200 degree Fahrenheit. 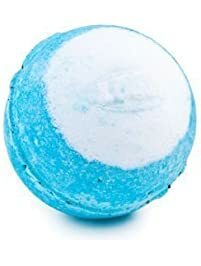 Alright, now we can make the bath bombs. Step 1, pour in one cup of citric acid. Then, for step 2, pour in two cups of baking soda. An optional tip is to add in some Epsom salts, and I like to add in Epsom salts, because it relaxes the muscle and it's great for bath time. I usually like to add in about 2-3 tablespoons of Epsom salts. For step 3, mix together your dry ingredients. Step 4, add in the food coloring. And here I'm adding in some orange. This is pretty easy to wash off your skin. I have been dealing with food coloring in lots of my DIYs and I've never had a problem with them sticking on to my skin or any of that. Step 5, and that is to add in the natural oil. I'm using coconut oil, this will leave your skin feeling nice and smooth and moisturized. Once all of your ingredients are in, mix this together, I like to use my hands because I don't mind getting them dirty. And here I go just adding in more color, to give this a nice vibrant richness. Now, with the craft paper, I'm going to roll this up in a cone-like shape for my carrot. Once you get your desired shape, take some tape to keep it together. Step 7, and that is to spray in some witch hazel. I usually use about 10 sprays altogether. By doing this it will make the mixture easy to mold and work with. As you can see, I'm filling in my cone with the bath bomb mixture, and I'm going to fill this in halfway, so this way I can make sure everything is packed in the bottom. What I usually do is use the handle part of my spatula and press everything down. Once I feel like everything is nice and packed, then I take out this green piece of hay that I found from the craft store, I place that into the center and fill up the carrot again. Fill it up until everything is nice and packed, then take aluminum foil and wrap your cone up. Make sure to wrap this nice and secure, and cover the top of your carrot. To make the egg shape, I used a plastic egg mold, and then I add in a little sprinkle on the bottom, then I add in the mixture, just like so. Now, you don't have to do this last step, but I feel like it's more effective by putting them in the oven, and they hold their shape better this way. So what I usually do is pre-heat the oven while I'm mixing this, and then I would turn the oven off. So make sure to turn the oven off and then let your bath bombs sit in the oven for a few hours, until you can take the molds out and gift them, or use them. (gentle music) Alright guys, that is it for today, thank you so much for watching. If you enjoyed this video or found it helpful please give it a thumbs up for helpful videos. I would really appreciate it. Also, comment below, let me know what other kinds of DIYs you guys would like to see, and if you guys will be making this DIY carrot bath bombs, then don't forget to hashtag me on Instagram, Facebook, or Twitter, I love to see your recreations. You can follow me, I have all the links below this video. And subscribe for weekly videos. Also, also nothing else, no, nothing else. Yes, I will see you guys next week and I love you, take care, ciao. (gentle music). 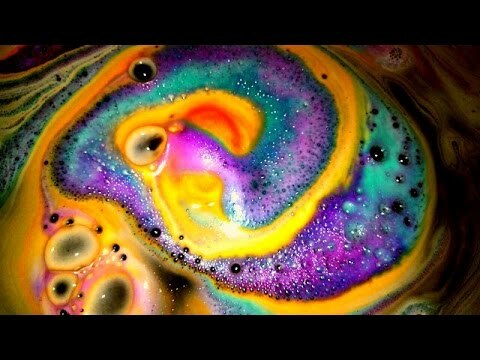 Lush Yoga Bath Bomb DEMO!! !